By TruePublica: For years, especially since the American coalition invasion of Afghanistan in 2001 and then the 2003 attack of Iraq the mainstream media has consistently turned a blind eye to Western use of operations including the use of terrorist organisations to foment trouble or, on occasions, to side with them against its own enemy. A typical up to date example of this would be the UK and US funding of the White Helmets in Syria. Often, these stories are then covered up and then called out as conspiracy theories. Many conspiracy theories, of course, have since proven to be fact. The now famous Gulf of Tonkin incident on August 2, 1964, was faked to provoke American support for the Vietnam War, oh and more recently, the US government paying for fake patriotism at big football games to boost army recruitment is another conspiracy theory that was true. An investigation by our media partner the Bureau of Investigative Journalism revealed in 2016 that a controversial UK public relations firm Bell Pottinger received over half a billion dollars to run a top-secret propaganda programme in Iraq following the US invasion. Bell Pottinger, now since bankrupt, produced fake video news about terrorist organisations and their awful acts of depravity (beheadings in orange jumpsuits anyone?) designed to continue public support for the ongoing war. This was all in President Barrack Obama’s time in office. More recently, in an exclusive magazine article in the National Review 25th July, it was reported that the Obama Administration had been in discussions with a group that was on a list of terrorist funders for a decade when it specifically approved funding for it. The U.S. Treasury Department’s Office of Foreign Assets Control (OFAC) designated the Khartoum-based Islamic Relief Agency (ISRA), also known as the Islamic African Relief Agency (IARA), as a terror-financing organization. It did so because of ISRA’s links to Osama bin Laden and his organization Maktab al-Khidamat (MK), the precursor of al-Qaeda. 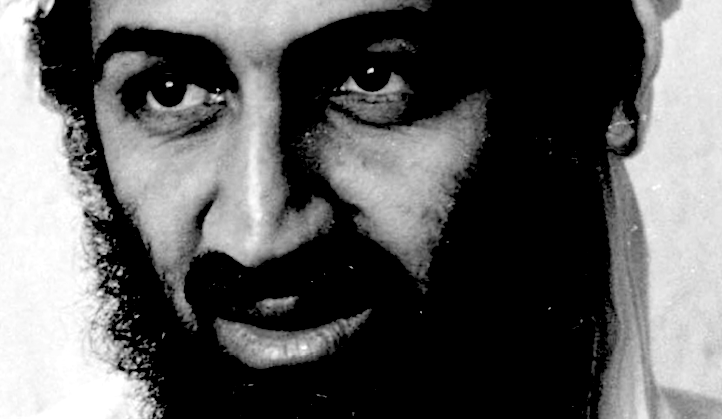 ISRA had raised $5 million for bin Laden’s group. The Treasury Department notes that ISRA officials even sought to help “relocate [bin Laden] to secure safe harbour for him.” It further reports that ISRA raised funds in 2003 in Western Europe specifically earmarked for Hamas suicide bombings. Eventually, it became known that this American branch had illegally transferred over $1.2 million to Iraqi insurgents and other terror groups, including, reportedly, the Afghan terrorist Gulbuddin Hekmatyar. In 2010, the executive director of IARA-USA and a board member pled guilty to money-laundering, theft of public funds, conspiracy, and several other charges. So there’s no doubting that this organisation is a front for terror financing. USAID official Daniel Holmberg even told a State Department official that he had been approached by the executive director of ISRA, and requested guidance on helping ISRA remove itself from the U.S. government’s terror list. As the report goes on to say, Obama-administration officials knowingly approved the transfer of taxpayer dollars to an al-Qaeda affiliate, and not an obscure one but an enormous international network that was often in the headlines. There is a question not answered in this report. Quite how was this prominent terror funder initially approved to receive American taxpayer funds ten years after it had been placed on the “Specially Designated Nationals and Blocked Persons” terror list? In short – an al-Qaeda front received taxpayers’ money with the apparent complicity of public officials. Officials knew ISRA was funding terrorism, knew it was on a list of banned organisations and doesn’t deny payment. Hardly a good enough response from the American government.